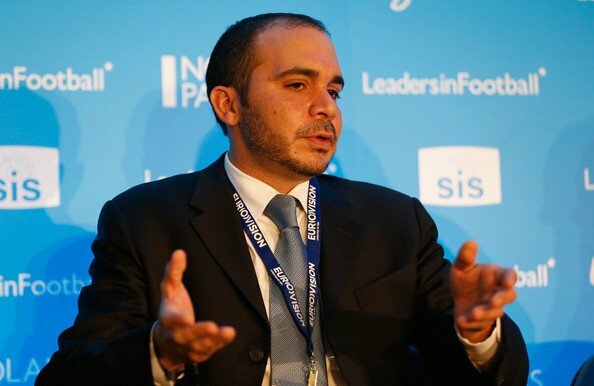 Prince Ali Bin Al-Hussein of Jordan will challenge incumbent Sepp Blatter for FIFA presidency. The 39-year-old FIFA vice-president will stand as a candidate at the presidential election on May 29, where Sepp Blatter, 78, will seek a fifth term of office. Prince Ali Bin Al-Hussein said: “It is time to shift the focus away from administrative controversy and back to sport. Prince Ali Bin Al-Hussein became president of Jordanian football in 1999 before being elected as the Asian Football Confederation’s FIFA vice-president in 2011. He has successfully championed the lifting of FIFA’s ban on the hijab in women’s football and was also one of a number of officials who called for the publication of Michael Garcia’s report into allegations of corruption surrounding the 2018 and 2022 World Cup bids. Prince Ali said he had been encouraged to stand by colleagues. UEFA president Michel Platini is said to be “pleased” that Prince Ali Bin Al-Hussein has decided to enter the race and will attempt to get the Jordanian as many votes as possible in Europe.